1. Preheat oven to 350 deg. 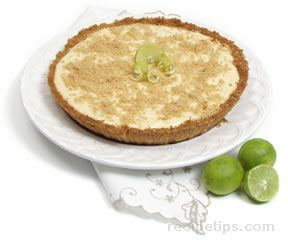 Make crust by combining the graham cracker crumbs with the butter and 1 T of sugar in a medium bowl. Stir well enough to coat all of the crumbs with the butter. Keep it crumbly. 2. Press the crumbs onto the bottom and about one half of the way up the sides of an 8 inch springform pan. Bake the crust for 5 min. 3. In a large mixing bowl combine the cream cheese, 1 cup sugar and vanilla. Mix until smooth. 4. 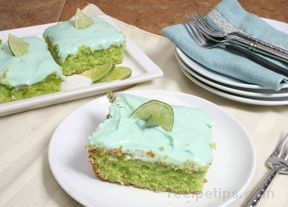 Add lime juice and eggs and continue to beat until smooth and creamy. 5. Pour the filling into the pan. Bake for 60 to 70 min. If top of cheesecake is turning light brown, it's done. Remove from oven and allow to cool. 6. 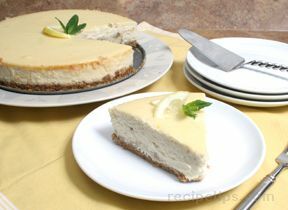 When the cheesecake has come to room temperature, put it into the refrigerator. When the cheesecake has chilled, remove the pan sides and cut the cake into 8 equal pieces. Serve with whipped cream. Note: This recipe requires a springform pan or 2 nine inch pie cans.